MONTEREY COUNTY — Caltrans has received confirmation from National Weather Service (NOAA) data that a significant storm will reach the areas of Mud Creek (PM 8.9) and Paul’s Slide (PM 21.6) on State Route 1 in the Big Sur area this evening. The Highway 1 closure, for traveler safety, will include the areas of Mud Creek and Paul’s Slide, closing today, Friday, Feb. 1 at 5 pm until further notice. 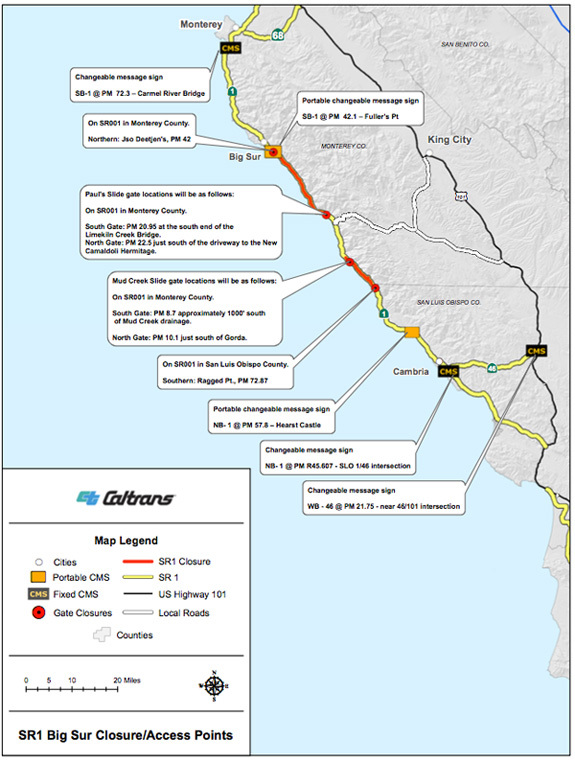 SEE ATTACHED CLOSURE MAP.